Each workshop is a stand alone program. Individuals completing all four workshops will have completed The Emergent Leaders Program and will receive a certificate of completion. 1. Today’s successful organizations who are well aware that their ability to attract, retain and optimize highly productive staff members, requires a willingness to invest in their employee’s development on the human as well as technical side. 3. Implicit Career Search and Human Element Facilitators looking to enhance and expand their skills. 4. Consultants and Life Coaches looking to add to their skill set. 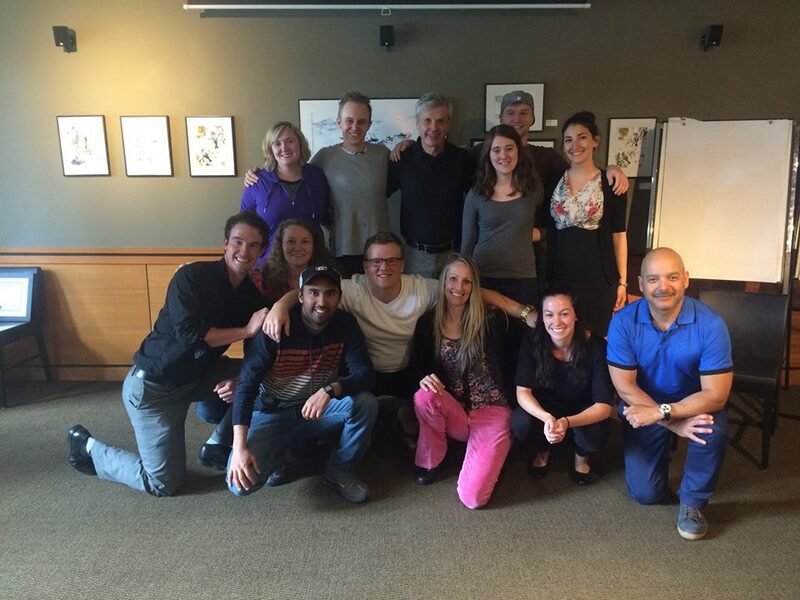 The Brentwood Bay Leadership program provides efficient and transformative change for organizations by addressing human issues, leading to greater accomplishment of goals and better individual, team, and organizational performance. The modern CEO is now moving from being less of a Chief Executive Officer to more of a Creator of Emerging Organizations! Career success, both as individuals and within organizations, depends largely upon the plan that is put in place to achieve it. An Implicit Career Search plan guides individuals toward a clearer sense of purpose before providing them with a strategic vision to release the implicit contribution they wish to make to the world with their career. Decision Making, tools to provide clarity for career decisions. Strategic Career Plan envisioning how that work purpose aligns with the organization’s mission and defining the career goals of the individual within and, sometimes, beyond the organization. PEAT is a process designed to individuals gain increased clarity and purpose in their career, relationships, and other aspects of their life by removing any emotional or traumatic charges that may be sabotaging their goals and plans. PEAT is such a simple and effective process that we are able to offer a 2 day certification that will qualify therapists, counsellors, coaches and anyone else (parents, teachers, etc.) to deliver this to their clients, family and friends. Brentwood Bay Resort, Victoria, BC. Home of The Emergent Leader Program. Each workshop, except for the 2 day PEAT Certification, runs over three days from 9am-6pm. The second day of Cornerstone ends at 10pm. Book your room at a special rate at the luxurious Bentwood Bay Resort and nurture yourself both physically and emotionally. Brentwood Bay Resort wins Canadian Tourism Business of the Year. Article taken from the Victoria Times Colonist, Dec. 6, 2016 "We have changed the standard focus of tourism operations at our resort. We recognized the transient nature of employment in our industry and have chosen to accept and embrace this nature, changing our focus from retention to attraction," said Brentwood Bay general manager Natasha Richardson. "I quote a dear friend and business colleague, Steve Miller: "We understand that humans not only have a unique contribution to deliver during our lives but that we implicitly and deeply desire to make this contribution." 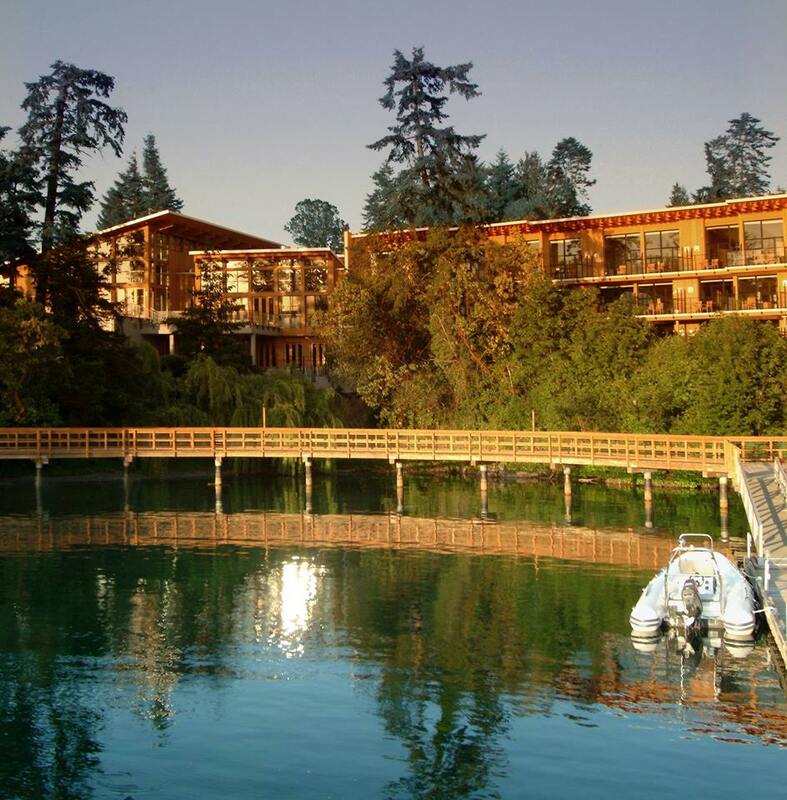 At Brentwood Bay Resort, we provide every employee who works with us the opportunity to discover their own unique purpose," said Richardson. This has truly changed the way in which we work together and provide authentic service to our guests." 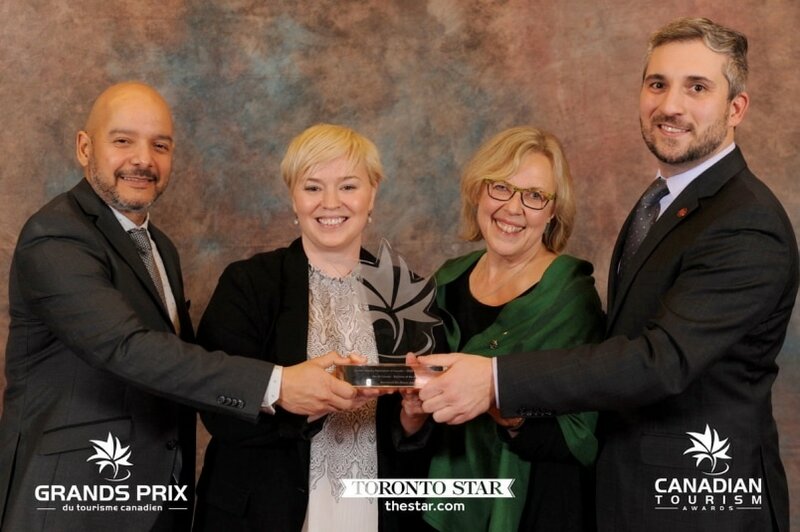 PHOTO: (from left) Pablo Reyes, Brentwood executive housekeeper; Natasha Richardson, Brentwood general manager; Elizabeth May; and Fitti Lourenco of Air Canada, at the Tourism Industry Association of Canada Awards. We recommend you confirm your attendance 30 days in advance along with accommodation if you require. Accommodation rates vary depending on the date of the workshop. A deposit will be taken at time of booking for both the workshop and accommodation. Your balance is due upon departure.